I have hours to think when I’m running. Among these thoughts are my job, my life, my students. Now that it’s almost the end of another school year, a recent jog turned into a reflection on how far my students have come and how we’ve worked to get here. Running a marathon requires close attention to pacing. Too fast and I bonk. Too slow and my attention wanes. 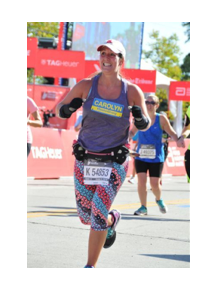 Each marathon brings a new challenge and another training plan, a proven method to support runners through 26.2 miles. It also requires passion. I cover hundreds of miles and train for hundreds of hours to be ready to succeed and cross the finish line. I’ve been thinking about how my role as a teacher has similar characteristics. I need to create the right training plan to support my students to reach their goals and instill a love of reading and learning. The college and career-ready literacy standards provide instructional guidance for schools and teachers and are grounded in research. The standards help me know what the finish line looks like for students at each grade level. The instructional materials are a critical part of that training plan. The materials we use in the classroom can give – or prevent students from – access to complex texts, which ultimately impacts their future and performance in college and/or their career. I haven’t always been a runner. It’s taken years for me to appreciate and embrace long-distance running, and sometimes I wish I would have gotten an earlier start. I want to help my students get an early start as well. For my students, high-quality materials, especially at the earliest grades, can build and instill a love for reading. Students come to school with a wide variety of ability levels and different amounts of background knowledge. 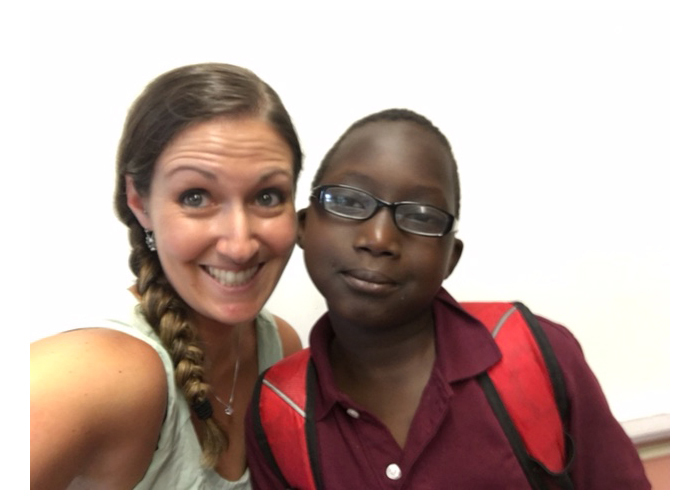 By providing them with high-quality instructional materials, students learn to see through their own lenses and achieve the knowledge, skills, and vocabulary to understand a variety of texts. When I have materials that align to the standards, I’m able to focus my time and energy on other important aspects of education and teaching, like finding ways to differentiate and deepen engagement. As teachers, we have an opportunity to expand students’ worlds and broaden their ideas, and the more we can have them reading and writing, the bigger their world becomes. In my own big world, and in the final strides of each run, I round the corner towards home, invigorated. I slow to a walk and take a moment to enjoy the fresh air. As another school year comes to a close, I take just an extra moment to reflect on how far my students have come and how far they will go. Carolyn Glicklich is an EdReports Content Reviewer, NY Core Advocate, NY Voice Educator Fellow, Beachbody Coach, and Nuun Ambassador. She works in Manhattan as a 4-7 Grade Learning Specialist. Educator Carolyn Glicklich discusses how EdReports empowers the voices and expertise of educators to ensure all students have access to high-quality instructional materials. When EdReports reviewer Dr. Bryan Drost was ten years old he wrote a letter to a publisher complaining about all the errors in his textbook. His journey with instructional materials was only beginning.